While the Flying Saddle Resort is surrounded by stunning scenery and endless recreation opportunities, you don’t have to leave the grounds to get in a workout, unleash your competitive side or unwind. 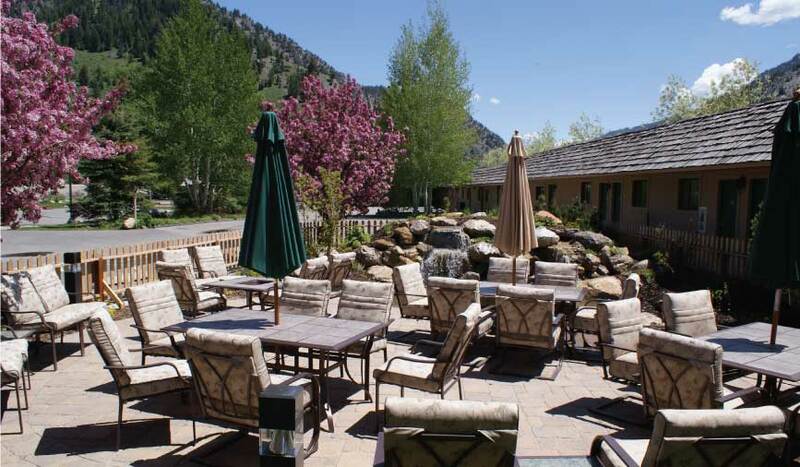 The Flying Saddle Resort offers all the amenities you need for a relaxing and memorable vacation. 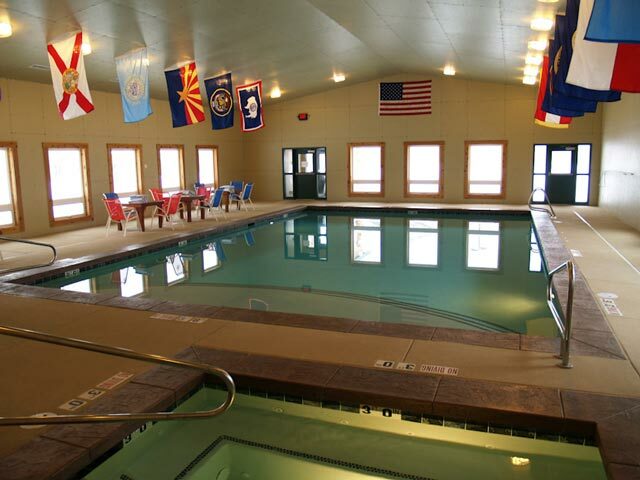 Our 16,000-gallon heated indoor pool is the perfect size for a rowdy game of Marco Polo, or even to swim a few laps. The neighboring hot tub is perfect for relaxing after a day of adventure. Patio furniture lines the pool area for those that prefer to stay dry. You don’t have to give up your regular workout routine while on vacation. 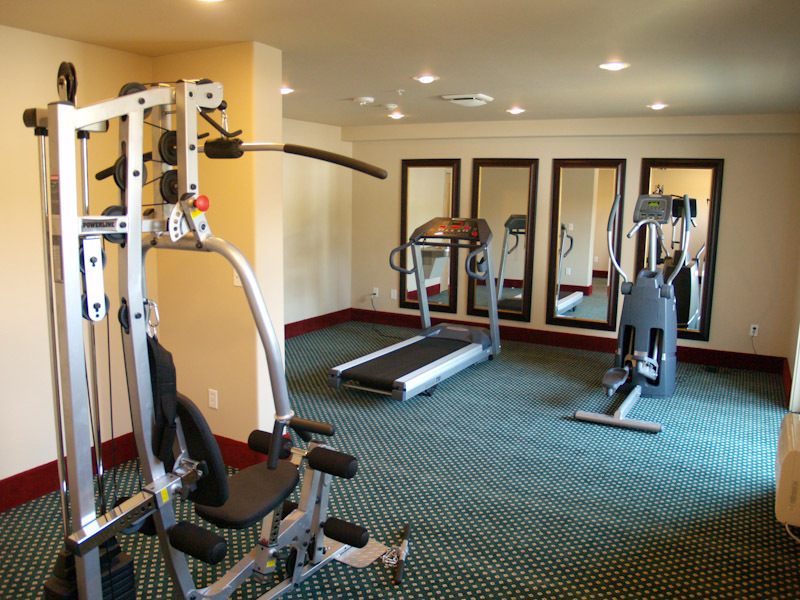 Our small fitness room features free weights, an elliptical machine and a treadmill. 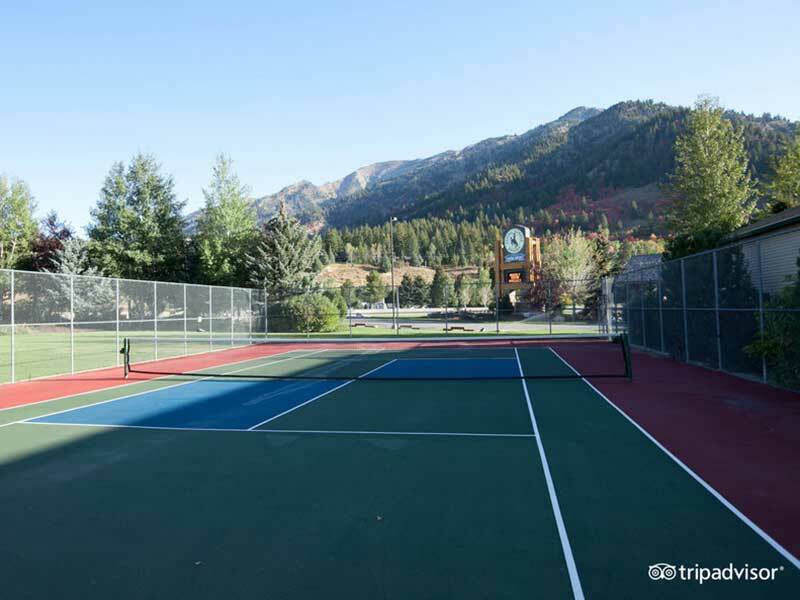 Our tennis court offers a great way to get some physical activity without leaving the resort. We check-out racquets and balls at no cost to guests wanting to get in a match on the hard court. We also have a basketball hoop and ball for some one-on-one or a game of horse. Or practice your soccer skills on our soccer goal situated in large grassy area. Looking for something a little more relaxing? Challenge your friends and family to a game of horseshoes in one of our pits. Our outdoor patio is a small sanctuary within the resort. Hanging plants line the walls, vines curve across a pergola and small twinkling lights cross the sky. A gas fireplace keeps the evening chill away. The patio accesses the bar and includes a view of a water fountain.